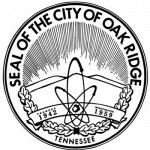 The Oak Ridge City Council will also consider the site selection during a March 13 meeting, although officials aren’t expecting City Council members to oppose the school board’s site selection. Scarboro Park is across Carver Avenue from the Scarboro Community Center. The city-owned Community Center had also been briefly considered after a day care center closed there last fall. But Oak Ridge Board of Education Chair Keys Fillauer said expanding the Scarboro Community Center would require “stair stepping and filling,” essentially work to move dirt and level the site. That’s not cost-effective and not great for the preschool, Fillauer said. Also, the administrative area and gymnasium at Scarboro Community Center would still be used during the day, and the preschool couldn’t be attached to those areas, Fillauer said. Officials have received a preliminary cost estimate of about $9.1 million for the preschool, with the costs about the same for either park. Oak Ridge City Manager Mark Watson has said the city could have a budget placeholder of about $10 million for the new preschool in the next budget to be considered by City Council. The final amount could vary, he said. The city doesn’t have the cash on hand and will need a financial plan. With the help of bond adviser Cumberland Securities, financing information could be included in the municipal budget that goes into effect July 1, Watson said. Elm Grove Park and Scarboro Community Center were both discussed at a joint work session between the Oak Ridge Board of Education and Oak Ridge City Council on Thursday, January 26. Conceptual site plans and public safety statistics were presented to the two boards. The conceptual site plans were done by Studio Four Design. Plans call for the new preschool to have 20 rooms, and possibly allow for expansion. A new preschool has been on the city’s wish list for many years. On Monday, Fillauer said a joint city-schools committee that was formed about two years ago, before the report was issued in October 2015, had looked at about 20 sites, some owned by the city and some privately owned, with some of them vacant properties and some already occupied by buildings. But there are regulations that govern what has to be in a preschool building as well as the building itself, Fillauer said. “That eliminates some potential buildings that are already standing that may not currently be (in use),” he said. Officials have learned more about the sites, including through drilling and engineering; working with Studio Four Design; and by discussing public safety with Oak Ridge Fire Chief Darryl Kerley and Police Chief Jim Akagi. “We have done a very thorough and exhaustive, I feel, review and study since this started almost two years ago,” Fillauer said. Efforts to build a new preschool date back even further, to the mid-1980s. Officials have said the current preschool on New York Avenue is in a building constructed about 70 years ago in what was supposed to be a temporary structure. The current building can no longer house the preschool and meet codes that are in place for preschools, Fillauer said. One thing has been consistent among those who have contacted school board members, whether they prefer Elm Grove Park or Scarboro Park: “The support for the preschool has been unwavering,” Fillauer said.